Hi! 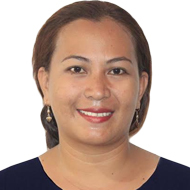 I am Teacher Yumi from the Philippines. I’ve been teaching English for quite awhile now. I used to conduct summer classes during vacation and I enjoyed teaching English and Math lessons. I am fond of reading books, writing short stories and poems, watching movies, internet browsing and listening to the music. For Beginners and Intermediate students who are 12 to 60 years old, I can teach you Basic English, Grammar, Pronunciation and Vocabularies. We can work on your Writing, Reading, Listening and Speaking Skills. I will do my best to make our lesson simple and easy to understand. Improving your English skills will help you communicate more easily and effectively so practice where you can and while you can. You can do it. I would be very grateful to help you excel in English Language. See you!